Executive Presence and Messaging - Innolect, Inc. | Innolect, Inc.
“This is the first time that I have worked with consultants who engage authentically. Innolect gained the trust of the team and took personal interest in the outcome. Promises made were promises kept; they raised our level of self-awareness; exceeded expectations by keeping attention and engaging the team. While most company leaders invest in and pay attention to external brand and positioning strategies, many of these same leaders overlook the value of strategic internal communication practices. Proactive approaches to executive messaging helps build better, more informed work forces as well as more productive workplaces. Refine executive messaging from the listener’s point of view. Deliver clear strategic change and transition messages. Expand executive presence and ability to tell powerful stories. Deliver proactive and intentional communication. Determining what to communicate, when to communicate, and how to communicate is often left up to individual leaders. Most planned communication focuses on upheavals like major corporate or organization change, layoffs and downsizing, and technological change. Once the initiating focus has been addressed, communication practices usually return to the status quo. Rather than reactive internal communication strategies, we recommend and work with leaders to use communication and cultural messages to their strategic advantage and build coordinated communication strategies and messages with multiple delivery methods. Motivate and engage employees in business strategy. 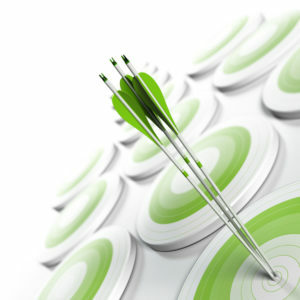 Drive radical change and achieve business results. Set measurable objectives that connect activities with bottom-line results. Communicate more specifically and concretely to influence employee’s behaviors. Engage senior leadership to consistently model messages and lead change. Build two-way communication channels to focus and deliver key messages effectively. Identify internal champions across multiple departments and company functions. Involve the right partners (Communications, HR, Marketing, Operations, etc.) across the organization. Enlist leader communication to build employee trust and engagement. Engage internal communications as a catalyst for culture and leadership transformation. Follow-up coaching to reinforce new skills.